More work on the theoretical framework which will be dull for anyone who is not interested in trying to come up with a way of analysing behaviours with the hope of influencing them – this is very much an action research post for my purposes. The ladder of participation model (or indeed more frameworks) seem to me to inherently value contributions at the top more than those lower down – I want to appreciate the lurkers and the listeners who may just vote – but do so in an informed way. Formal consultation or civic: I am questioning whether I really mean formal consultation – I am actually trying to define formal civil society where interactions happen within some kind of formal context where they can be taken into account by decision makers. Formal consultation is one of the these contexts but others might be housing associations or PCT boards etc, justice of the peace and other formal but not necessarily representative roles. Formal democratic: Defined by the involvement of the representative – and flows from any decision that needs to be made by them. This categorisation can be supported by social capital literature which describes the difference in informal and formal social capital (this is referenced in the Putnam book as well as other articles I have been reading this weekend). 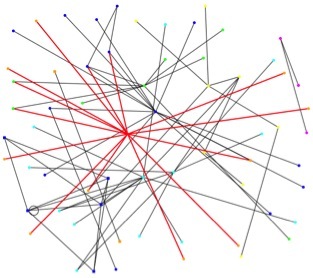 However social capital is a measurement or outcome – and it, like this categorisation, does not actually provide me with the framework I need to look at whether the social web provides us with the opportunity to create online civic spaces which connect these interactions so that the measurable levels of interactions at the less formal end of this analysis have a positive effect on the volume of interactions at the more formal end. However if I can describe interactions / actions which are typical of each of these catagories I will be able to see if the space we have created has had an effect on the volume (assuming baseline / re-sample during the project period). The problem here then is that a specific action cannot necessarily be considered to fall into one of these categories as most actions (for example commenting on a blog can happen within different contexts. I have not split informal / formal down into my narrower catagories – but mainly as it will not fit on the page for now! Interestingly I am not sure where to place ‘Stand for election’ as part of this list – its probably more naturally something for creators but could also be considered conversationalist. Perhaps the point here is that this is something beyond the usual social web behaviour as it is considerably more structured / formal that this framework is supposed to analyse – more thinking to be done here. Alpha Socialisers – mostly male, under 25s, who use sites in intense short bursts to flirt, meet new people and be entertained. Attention Seekers – mostly female, who crave attention and comments from others, often by posting photos and customising their profiles. Followers – males and females of all ages who join sites to keep up with what their peers are doing. Faithfuls – older males and females generally aged over 20, who typically use social networking sites to rekindle old friendships, often from school or university. Functionals – mostly older males who tend to be single-minded in using sites for a particular purpose. So the table above will help in describing the behaviours – which is useful in itself – but does not actually get at the heart of the difference between the categories – which is what I am after in order to judge whether the creating of a civic webspace makes informal civic behaviour more or less likely to turn into formal behaviours. I think that what this implies is that the baseline questionnaire is even more important than before – but what I need to do is to expand the section on intent and to ask questions about people’s likelihood of moving on to participate formally. When I do the next round of data collection then I will be able to see if this intent has increased in the group which went onto to participate within the new webspace – and if we can see increases in the measurable behaviours which are described above. As the baseline questionnaire will only be administered to people who are already participating in an informal/civic way then this should be a good indicator. This does mean though that I will need to document the social web audit which we conduct in order to form these civic webspaces in the first place as this looks at the conditions which I describe above – which is no bad thing apart from the ‘more work’ element of it. Now – if only I was doing this full time then it would be no problem at all….. This is a short note prior to a proper post but as we move forward with getting the Citizenscape sites actually up and running you can start to see why the idea of co-creation needs to be so strong in the citizenscape methodology. The Citizenscape sites will be containers for different types of widgets which means that it will be much easier than in a standard website for content to genuinely be sourced from different places (and owners) in a far more authentic way than by just copying it there. You can recreate branding and styling to really reinforce the fact that this is a shared space. As the sites get up and running it will be easier to show this to the participants (the teams have struggled explaining this idea to stakeholders) that there is a place for their content – which should be possible if we can really put across the fact that these sites are beta and can be amended. The upshot of it is that we need to look at amending the methodology to formally include this extra stage as part of the process.